Queen Elizabeth II and senior members of the British royal family — along with newcomer Meghan Markle, an American actress engaged to Prince Harry — attended a Christmas church service on Monday as a crowd of local residents gathered. Markle smiled and gave a brief wave in her first public appearance with the queen. 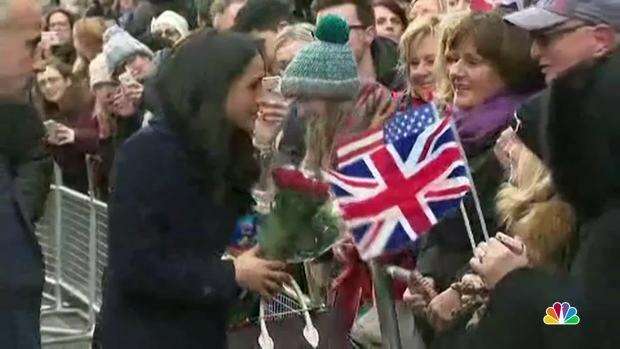 She and Harry stopped to talk with several locals on their way back to the queen's residence. "She was very, very lovely," said Judith Wallis, a woman who chatted briefly with the couple. The crowd was larger than in previous years, perhaps because of curiosity about Markle. The queen was joined by her husband, Prince Philip, and close family members including grandson Prince William and his wife, Kate, who is expected to give birth to the couple's third child in the spring. Elizabeth, 91, and Philip, 96, missed last year's church service because they had the flu, but they seemed in good health during Monday's brief appearance. Philip walked back to the queen's house with other royals, but Elizabeth opted to be driven. She and Prince Charles' wife, Camilla, rode to and from the service in a chauffeured Bentley with a horse-themed hood ornament, perhaps chosen by the queen, who loves horses and horse racing. Elizabeth used her annual Christmas message to pay tribute to the way London and Manchester pulled together after extremist attacks earlier this year. The brief speech was televised on Christmas Day in the United Kingdom and the 51 other Commonwealth countries. The queen, seated at a desk in her study, praised Manchester, hit by a suicide bomber in May, and London, which endured attacks on Parliament, London Bridge and other landmarks. She said the cities' "powerful identities shone through over the past 12 months in the face of appalling attacks." The queen said it was her privilege to visit young survivors of the attack on a Manchester concert hall as they were recovering from the blast which claimed 22 lives. "I describe that hospital visit as a 'privilege' because the patients I met were an example to us all, showing extraordinary bravery and resilience," Elizabeth said. Elizabeth also had kind words for her husband, who this year stepped down from most public duties because of his advancing years. She praised him for his "support and unique sense of humor." The queen and Philip are spending the holidays at Elizabeth's country estate in Sandringham, 110 miles (175 kilometers) north of London. The royal family had a private lunch scheduled after the church service, with turkey reared on the estate featured on the menu. This is the first Christmas the family is joined by Markle. 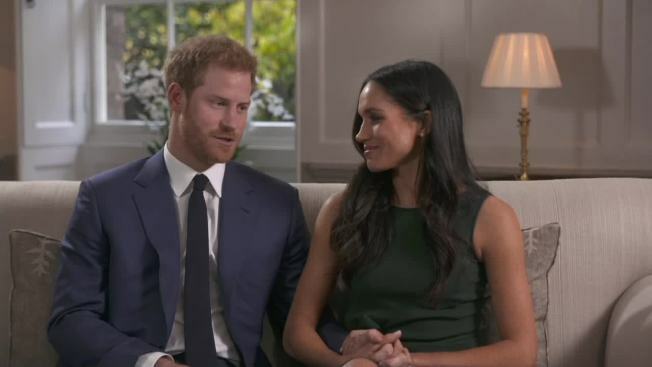 The actress and Prince Harry plan to marry at Windsor Castle in May. 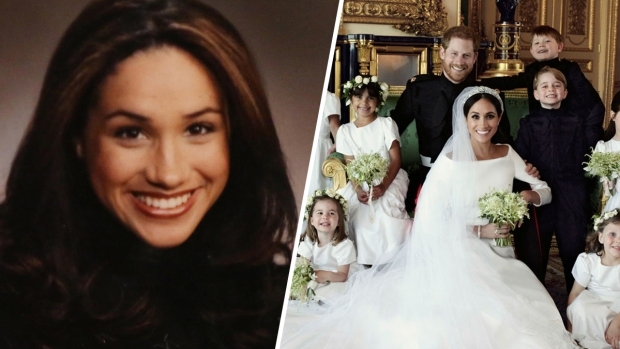 Markle seemed comfortable walking to the church arm-in-arm with Harry. She and Kate curtsied in front of the queen after the service was over. Elizabeth said in her brief broadcast that the royal family looks forward "to welcoming new members into it next year."